We’re heading towards the end of chilly weather and I’m in that in between stage of hankering for reds and yearning for light summer whites. However, I’m still sticking with the reds for the time-being. 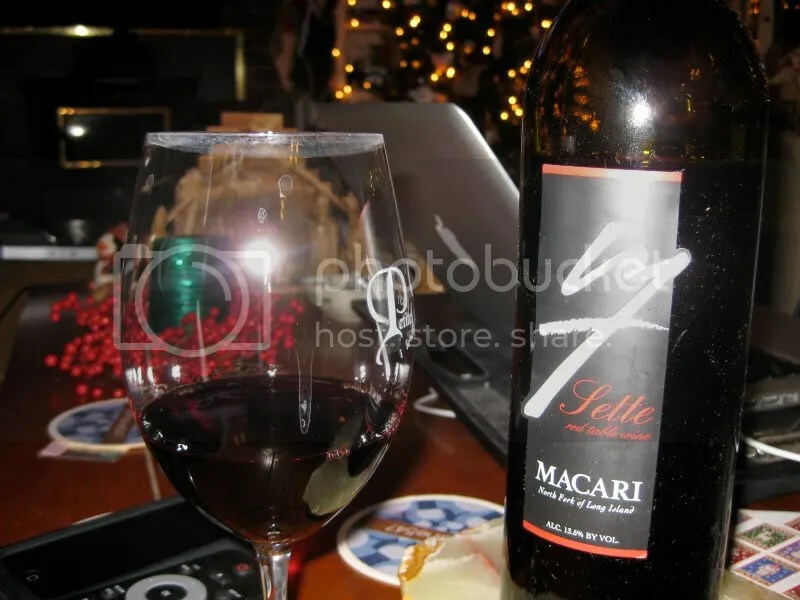 Tonight we headed to New York via the wine, grabbing the 2005 Macari Estate Merlot from the basement. The wine has a real cork closure, clocks in at 13.5% alcohol by volume, and the current vintage retails for $21. 1.) I’ve really enjoyed the last several wines I’ve had from New York State. 2.) I think the Wine Blogger Conference should consider Long Island as a future conference site. 3.) This wine had one of those noses where I just kept my nose buried in my glass. 4.) Macari has consistently impressed me since I first tasted their wines. On the nose I got pepper, strawberry, black plum, earth, eucalyptus, forest floor, herbs, cherry, and Christmas tree. In the mouth I found raspberry, black fruit, pepper, and spice. 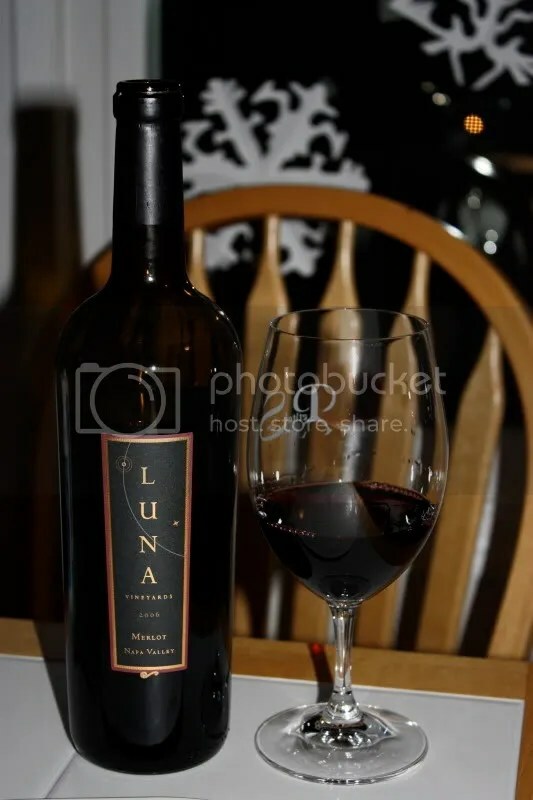 Good tannins and juicy fruit, combined with a fabulous nose made for an all around lovely wine. As you might be able to tell, I’m a tad behind on reviewing wines. If you follow the wine blogosphere, you will see that most other wine bloggers reviewed this wine in August or there about. So I’m tardy to the party, but that’s ok, I’m bringing a wine that will make another great party bottle. Often, I have folks ask me to recommend a “sweet” red wine. Well…ok. Red wine, in general, is not really sweet, unless you’re talking some of those dessert wines with raspberry or chocolate essences infused. 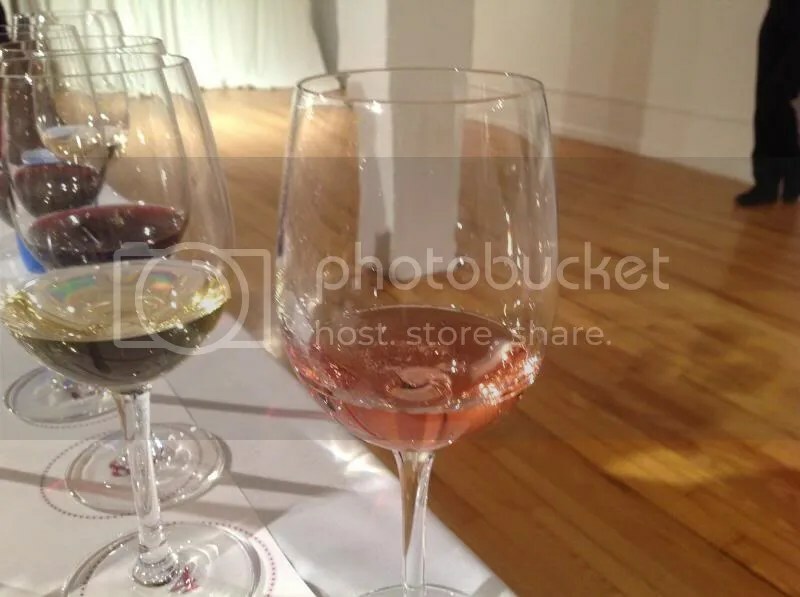 Red wine has varying levels of dryness. 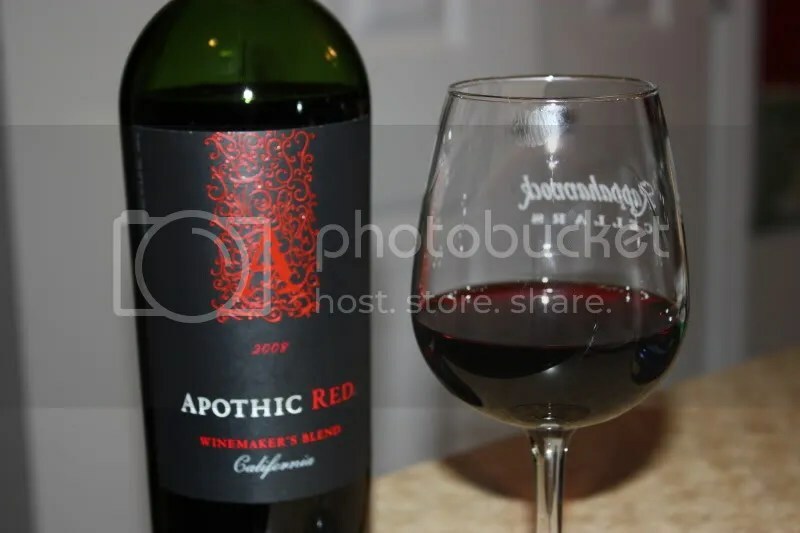 This wine, the 2008 Apothic Red, is sweet in the sense that it is less dry than other red wines, and would likely be great for the “I don’t like red wine crowd.” Which generally, and with its price, makes is perfect for a party where you have a mix of folks and are going to be serving lots of bottles. The Apothic Red will fit the people looking for a “sweeter” red and there are lots of other options for folks who have a taste for drier reds. 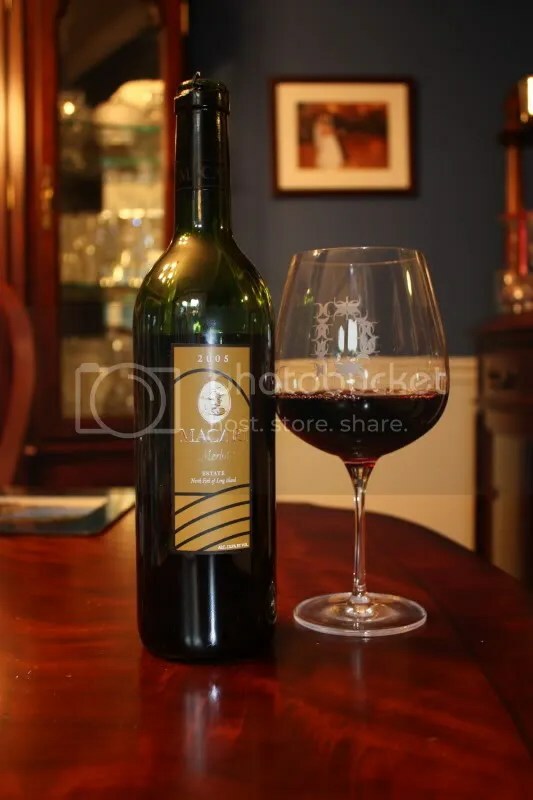 The Apothic Red clocked in at 13.1% alcohol by volume, has a MSRP of $14, but is available for around $9, had a real cork closure, and is a blend of Zinfandel, Syrah, and Merlot. So here’s where the “sweet” showed up to me right away. On the nose. A snoutful of chocolate syrup, jammy berries, blackberry syrup, blueberry pie, and vanilla. My notes say “really very sweet nose” and “overwhelming chocolate syrup.” Not so much my thing, but like I said, for the “sweet” red wine folks, this is what you are looking for. In the mouth I got blueberry, blackberry, a chocolate syrup aftertaste, jammy black fruit, and an overall sense of pie. 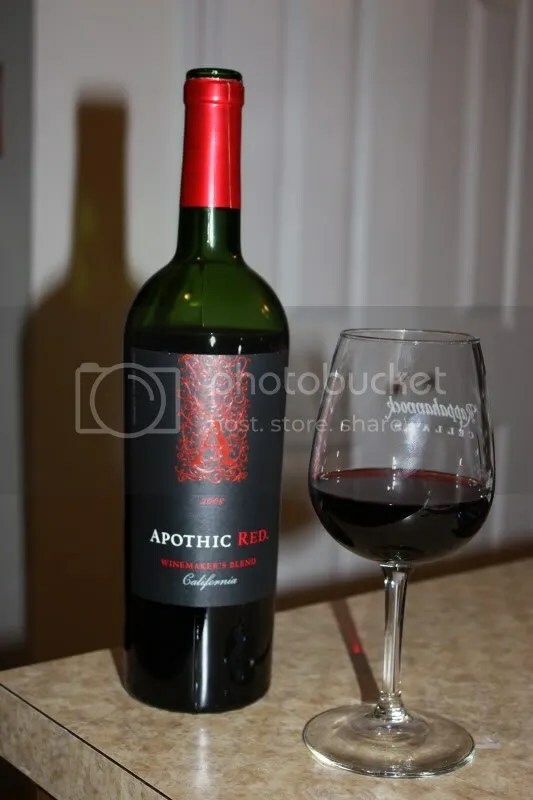 Basically, if you took slices of blackberry and blueberry pie, blended them together with chocolate syrup, and put it in a glass, this is what the Apothic Red smells and tastes like. Disclaimer: I received this wine as a sample from L’Ecole. In preparation for the Wine Blogger Conference 2010 being held in Walla Walla, WA (which I will not be attending this year, sob!) several Washington State wineries sent out samples to bloggers for a “tour of Washington wine.” I hadn’t previously had much wine from WA, so I jumped at the chance to try some more examples. The first winery to ship samples was L’Ecole and I’ve written about a few of their wines already. 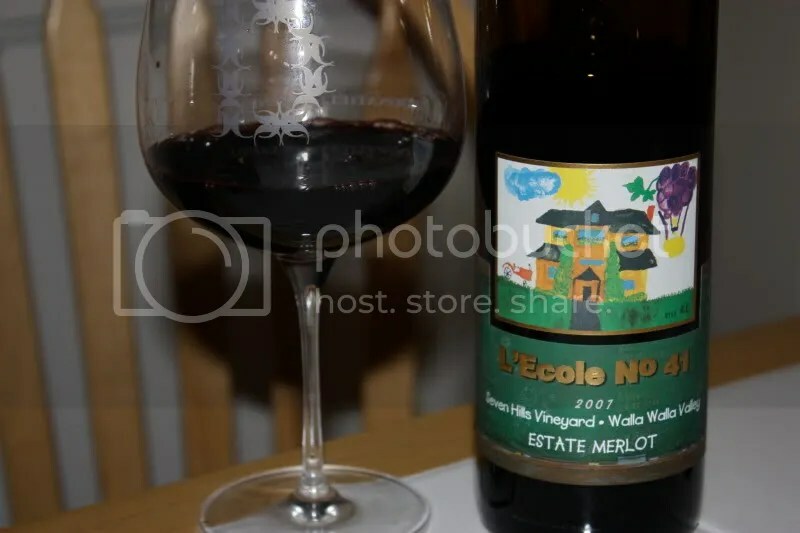 Tonight we chose the 2007 L’Ecole No. 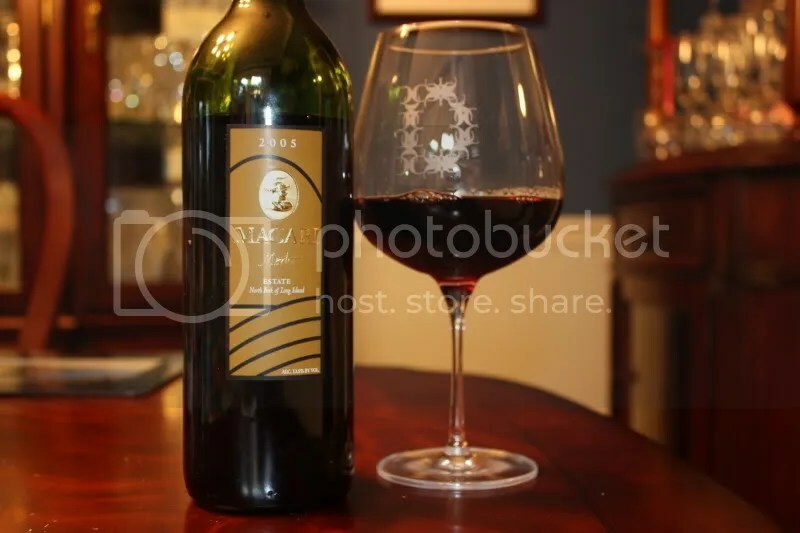 41 Estate Merlot. 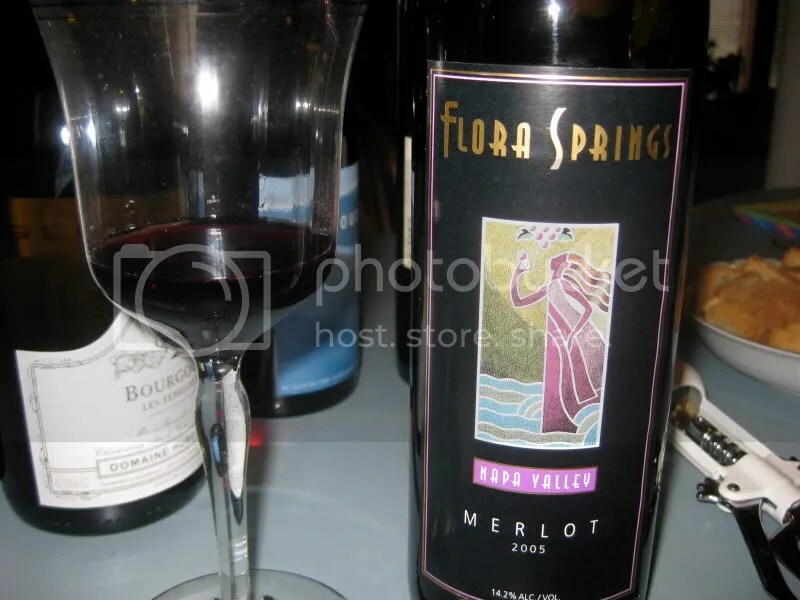 The Estate Merlot hails from the Seven Hills Vineyard in Walla Walla, clocked in at 14.5% alcohol by volume, had a real cork closure, and retails for about $37. Anyone who is still wallowing in the “Merlot is insipid” phase need only give the L’Ecole a chance. On the nose i got pepper, spice, bright black berry, black plums, earth, and cinnamon. In the mouth blackberry, plum, spice, earth, and cinnamon…just like the nose. 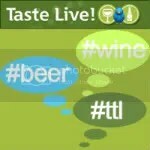 I found it to be juicy with nice acidity and really well done overall. 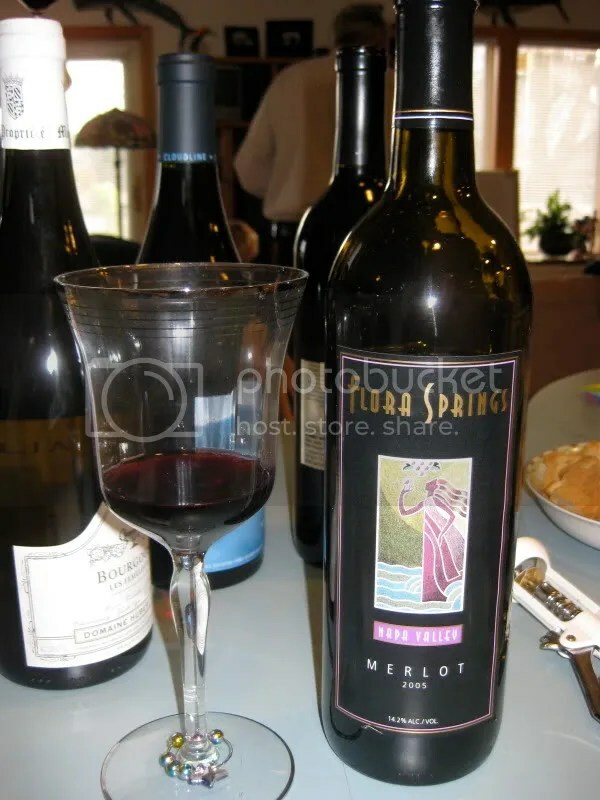 My notes say: this isn’t your gramma’s Merlot unless you have a really cool gramma. As much as I keep willing it to be spring (and my daffodils, irises, and lilies think it’s spring as they started popping up a few weeks ago only to be covered by 3+ feet of snow), I need to face facts. That damn groundhog was more than right this year and winter has settled in to wreak havoc on my plans to wear sandals in March. Though I suppose that saves me money on pedicures. More money for wine! Usually by the time we get back from work in the evenings, it’s so cold in our house that a nice cool white wine would chill me to the bone. As a result, I’m still digging into the big reds, hoping they’ll warm me up faster than the heating system or fire could. 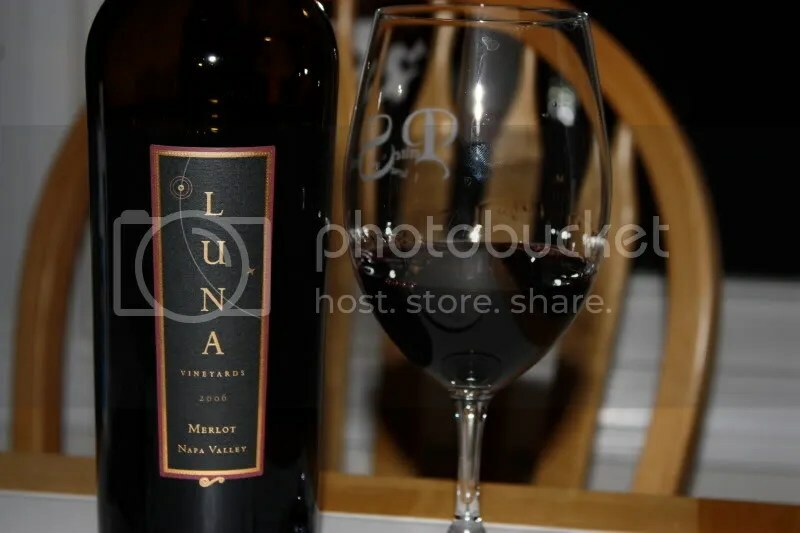 Tonight we picked the 2006 Luna Napa Merlot from the racks. It had a real cork closure, clocked in at 14.2% alcohol by volume, and I think it retails for around $27. On the nose I found chocolate, plum, red berries, spice, earth, clove, cigarette, blackberry, and cocoa. The clove and cocoa notes kept drawing me back in and made the nose interesting for me. In the mouth blackberries, plums, cherries, chocolate, spice, earth, red fruit notes, a little pepper, and clove stood out. I found the wine to be a bit tannic overall, so I think I’d serve this with a steak or a roast if I were to have it again. 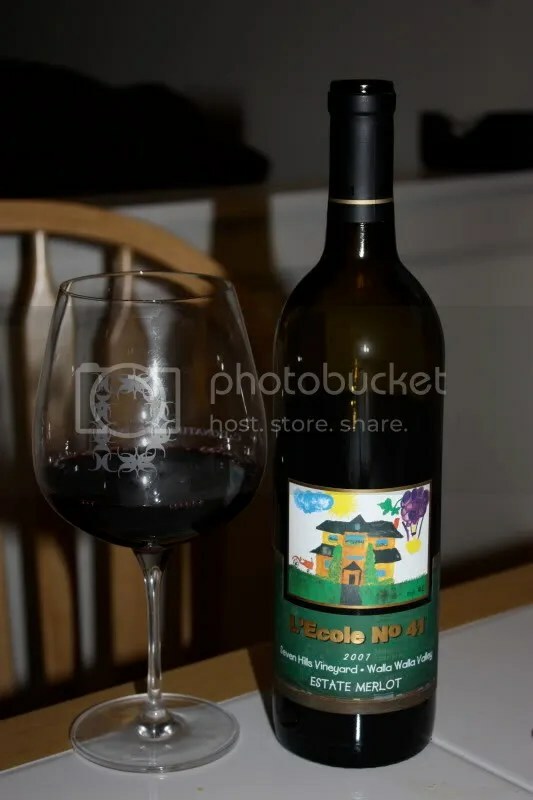 *Disclaimer: I received this wine as a sample from Macari Vineyards. I drink a lot of California wine. It’s just a simple fact. I really cut my wine teeth on California wine and as such, I tend to drink more of it than anything else. However, this past week you wouldn’t be able to tell….we had ORegon on Sunday, North Carolina on Monday, and today we have New York. 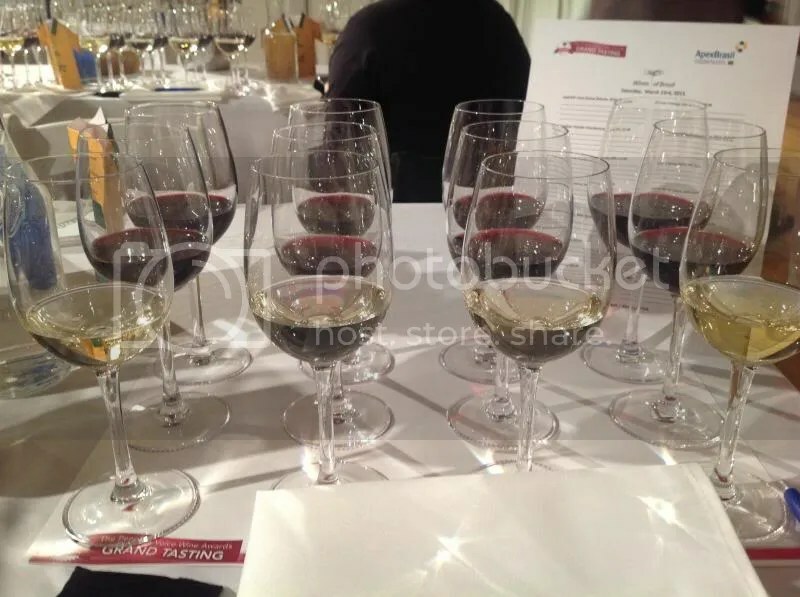 I do love trying wines from lots of different places, so hitting a streak with a variety of wines is always a fun time. 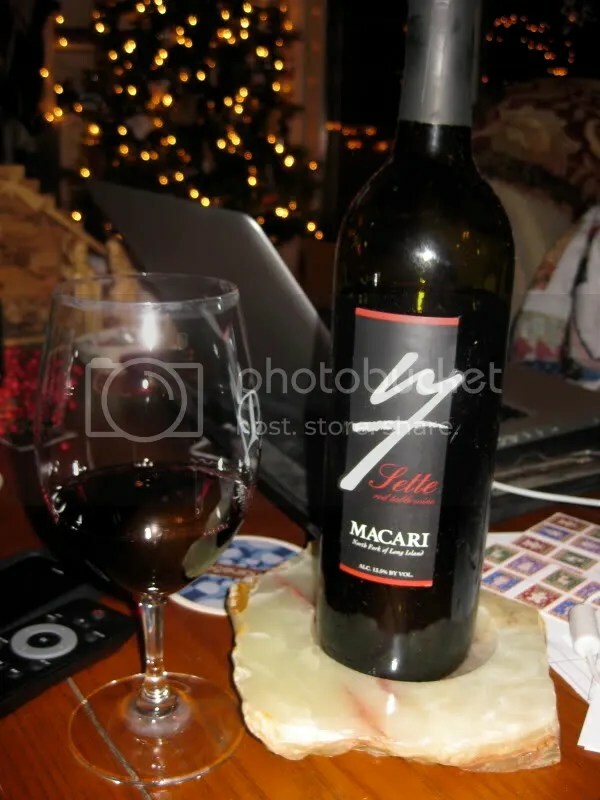 Today we tried the NV Macari Sette, a 50/50 blend of Merlot and Cabernet Franc from Long Island. 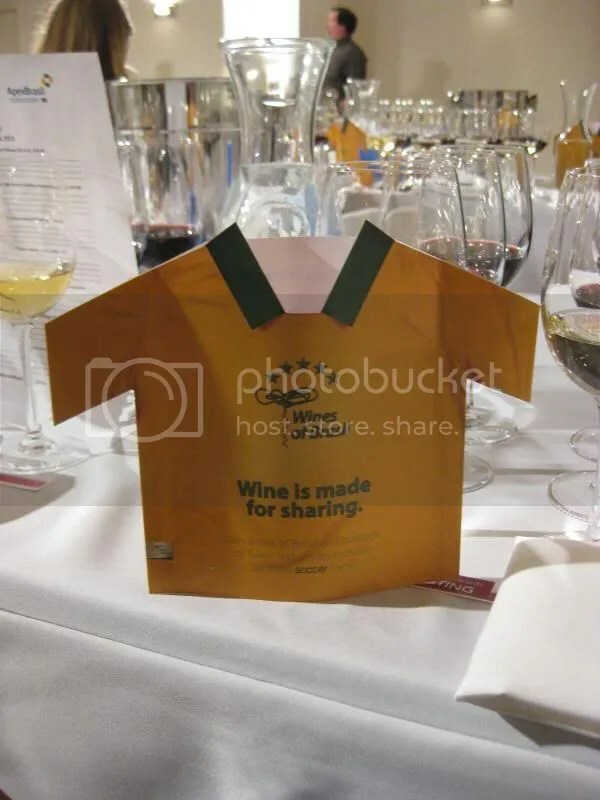 It had a real cork closure, clocked in at 13.5% alcohol by volume, and retails for $16.99. On the nose I found strawberries, earth, herbs, plum, spice, leather, raspberry, and just a slightly green characteristic that I actually really love about Cab Francs (it’s a pleasant green thing, I promise!). In the mouth I got red berries, strawberries, plum, earth, dirt, raspberries, cranberries, black cherry, and herbs. The wine had great acidity and at $16.99 seemed to be a great bargain. I also really enjoyed the Macari Rosé I had earlier this year, they seem to be making some wines at a good price point with real character.